Any new drug that penetrates the central nervous system must receive some preclinical analysis of abuse liability potential (Draft Guidance). Usually, it is determined through prior knowledge of chemistry and/or pharmacology of the candidate’s drug class that compounds have abuse liability. For example, if a test article stimulates release of dopamine in the nucleus accumbens of the brain, most likely it will be abused by humans (Koob and Volkow, 2010). Discussion of nonclinical abuse liability testing requirements with regulators prior to submission of any formal materials, however, is always advised. Behavioral pharmacology is only one facet for determining abuse liability; however, preclinical drug discrimination and self-administration data speak loudly. As outlined in O’Connor et. al. (2011), several factors can influence nonclinical drug self-administration data. Animal strain, training regimen, food restriction, duration of access, rate of infusion, and training doses can all influence self-administration data (Baladi et. al., 2010; Banks and Negus, 2010; Caroll, 1985; Kosten et. al., 1997; Lynch et. al., 2010; Woolverton, 1992). Misleading self-administration data can lead to program-killing false-positives or underestimated abuse liability that will manifest during clinical trials. Something as “unimportant” as the dose of the training compound can impact drug discrimination. Too high or too low of a training dose may alter the interoceptive cue of test article and shift dose response curves accordingly when the test article is screened (e.g., Mumford and Holtzman, 1991). These results would drastically affect interpretation of safety margin. Unchecked variables can significantly impact analysis and delay submissions. Although regulators are savvy to these variables, to the classically trained chemist, for example, these variables can seem like smoke and mirrors without the proper experience. Daily monitoring of behavioral data and animals (weights, response patterns, and general health) is necessary to determine whether preclinical studies are being carried out properly and are subsequently valid. One must be aware that self-administration and drug discrimination studies usually take several months to complete, with animals generating data daily. Failure to incorporate appropriate controls such as presenting “inactive” levers and recording inactive lever responses can render a study invalid; this practice serves as an index of accuracy (O’Connor et. al., 2011). Additionally, catheter patency in rats used for self-administration studies is not a trivial concern. An impaired catheter can seriously alter response patterns. The same animal may alter behavior over time due to time-dependent physiological changes (e.g., behavioral tolerance) or a faulty catheter. Behavioral criteria must be established well in advance in order to accurately track animal response patterns. Frequent catheter patency tests should regularly occur. Several nonclinical laboratories (especially academic) combat less than aseptic conditions with daily administration of antibiotics to their experimental animals to maintain catheter patency and animal health for lengthy self-administration experiments. Body weights must be maintained at certain levels to ensure motivated animals. If an animal is food restricted for eight months and administered daily antibiotics, will this create problems with your compound? Concomitant effects can potentially lead to additional toxicology studies if you have unexpected clinical signs or abnormal clinical pathology findings. Some contract research organizations (CRO) may suggest using their “trained” animals, usually non-human primates, for preclinical drug discrimination and self-administration studies. Will the drug history of these animals pose a problem? Should you instead consider use of rats over non-human primates? At this point in time, if the metabolism and kinetics of your compound are similar in rats and humans, use of non-human primates is not necessary and may not be justified from an animal welfare standpoint (O’Connor et. al., 2011). Moreover, the behavioral database for rats is just as strong as for non-human primates (O’Connor et. al., 2011). The benefits of using non-human primates, however, are multiple. A CRO can maintain a small colony of non-human primates that are trained to self-administer or discriminate drugs of abuse for years. For this reason, animals are essentially ready for screening at initiation of the study. One should consider, however, that non-naive animals may have impacted health due to long histories of handling, laboratory conditions, implanted devices (in self-administration animals), and a history of drugs that may impact physiology and/or behavior. Will this confluence of factors negatively interact with your compound? In conclusion, behavioral pharmacology studies should not be taken lightly, and possession of the necessary expertise and skills to navigate these challenges is necessary. Lack of experience in what was once considered a “soft science” can be extremely detrimental in drug development, costing additional time and money. Just like any scientific assessment, there are “correct” and “incorrect” ways of conducting behavioral pharmacology experiments. For this reason, many large pharmaceutical companies and CROs now have expert working groups for abuse liability screening. Baladi MG, Newman AH, France CP. Dopamine D3 receptors mediate the discriminative stimulus effects of quinpirole in free-feeding rats. J Pharmacol Exp Ther. 2010 Jan; 332(1):308-15. Banks ML, Negus SS. Effects of extended cocaine access and cocaine withdrawal on choice between cocaine and food in rhesus monkeys. Neuropsychopharmacology 2010 Jan; 35(2):493-504. Carroll ME. The role of food deprivation in the maintenance and reinstatement of cocaine-seeking behavior in rats. Drug Alcohol Depend. 1985 Nov; 16(2):95-109. Draft Guidance for Industry Assessment of Abuse Potential of Drugs (January, 2010) prepared by the Controlled Substance Staff (CSS) in the Center for Drug Evaluation and Research (CDER) at the Food and Drug Administration. Erratum in: Neuropsychopharmacology 2010 Mar; 35(4):1051. Kosten TA, Miserendino MJ, Haile CN, et. al. Acquisition and maintenance of intravenous cocaine self-administration in Lewis and Fischer inbred rat strains. Brain Res. 1997; 778(2):418-29. Lynch WJ, Nicholson KL, Dance ME, et. al. Animal models of substance abuse and addiction: implications for science, animal welfare, and society. Comp Med. 2010; 60(3):177-88. Mumford GK, Holtzman SG. Qualitative differences in the discriminative stimulus effects of low and high doses of caffeine in the rat. J Pharmacol Exp Ther. 1991 Sep; 258(3):857-65. O’Connor EC, Chapman K, Butler P, Mead AN. The predictive validity of the rat self-administration model for abuse liability. Neurosci Biobehav Rev. 2011; 35(3):912-38. Woolverton WL. Cocaine self-administration: pharmacology and behavior. NIDA Res Monogr. 1992; 124:189-202. 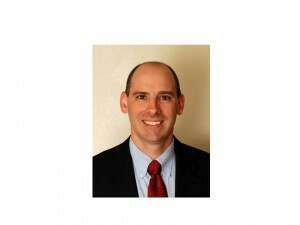 Paul Kruzich is an experienced abuse liability and safety pharmacology consultant. He has extensive industrial/CRO experience as a study director and academic experience as a tenure-track faculty member at the Medical College of Georgia. His professional affiliations include the College on Problems of Drug Dependence, Safety Pharmacology Society, Society of Toxicology, and Society for Neuroscience. Dr. Kruzich has authored over 23 peer-reviewed articles and 2 book chapters and has served as a reviewer for over 5 scientific journals.